Fig.1 This first photograph was taken sometime before 1913 as there are no tram lines evident. It shows a group of people gathering on the main road at the bottom of Mill lane, but I’m not sure what the occasion was. They could be preparing for one of the “Band Of Hope” processions in which the local Sunday schools paraded around the village before proceeding to the Jessop Monument at Codnor Park. 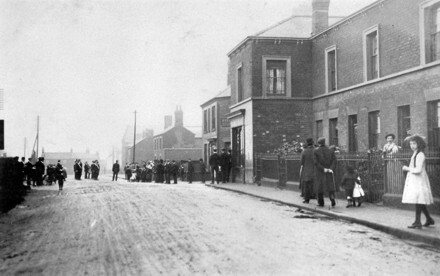 Fig.2 This photograph dated around 1911 shows the entrance to Mill Lane between Bostock’s butchers on the left and Clement Ridyard’s Chemist on the right. At the far right is Burton’s Grocery store, which was a mirrored copy of the chemist even down to the curved corner on the building. Between them both are the four houses that make up “Druggist row”. This entire block was built in about 1860 and Thomas Farnsworth is recorded in the 1861 census as “Chemist & Drugist”. 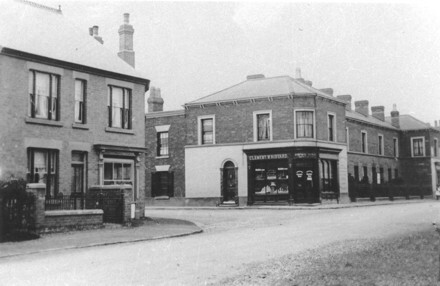 The chemist shop also doubled as a Post Office until Clement Ridyard took over in about 1910, then the post office moved to Kensits shop on Mill lane (now Village News). Clement W Ridyard ran the Chemist until his death on 11th August 1932 when his widow sold the business to Hubert Hurst. Fig.3 Clement W Ridyard had a belt driven pill-making machine in the chemist shop. He used this to make his own brand of “Artico dog-worming tablets”, which he sold by mail order. The tin opposite dates from about 1930 and was found in Italy. 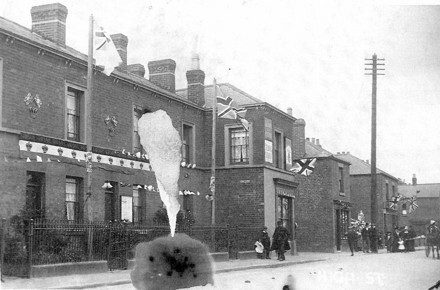 Fig.4 This is a view of Druggist Row decorated for either the Coronation of King George V in 1911 or the Royal visit to the area by King George V and Queen Mary in 1914. The house with the notice board on the wall in the middle of Druggist row (No.7) was the home of Codnor Police Constable, Thomas Taylor and his wife Margaret, the end shop is Thomas Burton’s Grocers, then next to the telegraph pole is William Gaunt’s Cobblers. The next two shops together are Raymond Green’s Hairdressers and Richardson’s confectioners then the last building on the far right is Tom Clarke’s Butchers at the bottom of Whitegates. 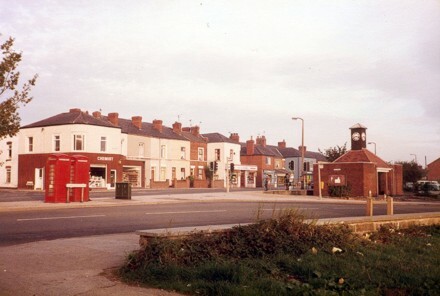 Fig.5 This photograph of the High street taken from the recreation ground in the early 1980s, shows the original red telephone boxes and also the bus shelter and toilets. The bus shelter was built in 1930 on a garden that once belonged to the chemist. The garden was surrounded by high hawthorn hedges and had a trough for watering horses and cattle. The clock tower was added in 1950 and officially opened on 12th May 1950. There also used to be access for cars between the telephone boxes and the bus shelter, this was closed during the early 1970s. An electric clock with four illuminated dials, which is being installed in a tower over a public conveniences in Codnor Market-place at a cost of about £300, out of funds from the former Codnor Loscoe and Waingroves Nursing Association, is expected to be completed within a few days. Codnor members decided to use their share of funds remaining from the association to erect the clock to commemorate the work of the association. On completion it will be handed over to Heanor Urban Council, who will maintain it. John Smith & Sons Ltd, watchmakers of Derby, are supplying the clock at a cost of about £250. A Codnor firm, Messrs F and C Severn, are erecting the tower and adapting the building to take the clock. Panelled in white, each dial of the clock is three feet in diameter.